Upfor joined regional, national and international galleries to participate in the third iteration of the Seattle Art Fair, co-produced by Vulcan Inc. and Art Market Productions. 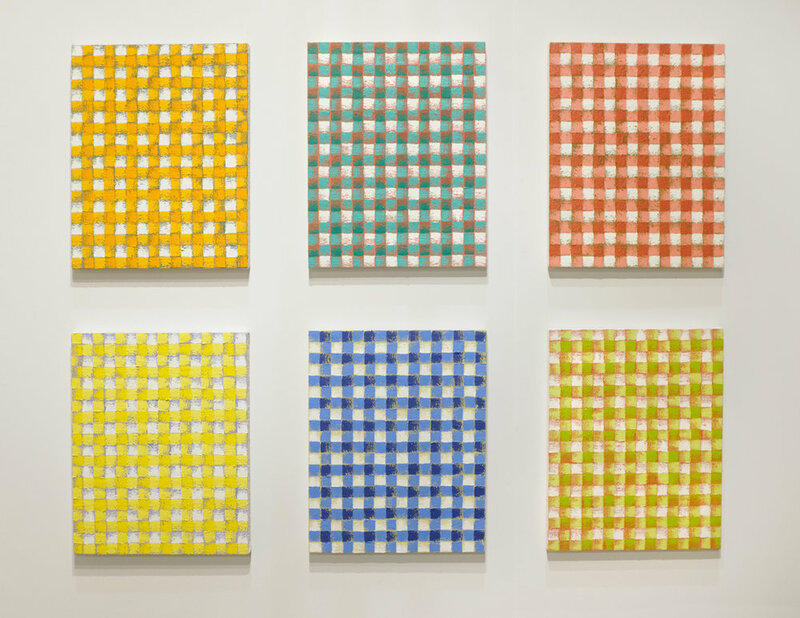 Upfor presented new work by Michelle Grabner. Hand-crocheted and knitted blankets and ginghams, collected over decades, are used as templates for her abstract oil paintings and bronze sculptures. As in past works, Grabner reinvents domestic objects through painting and casting, maintaining a human scale and honoring the history of the textiles first as objects of comfort and care before becoming the physical frameworks for fine art objects.